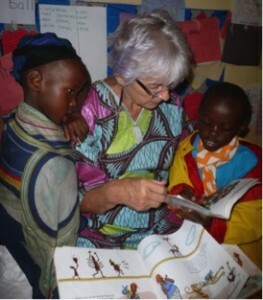 The core of Judith’s Reading Room is the belief that books change lives. 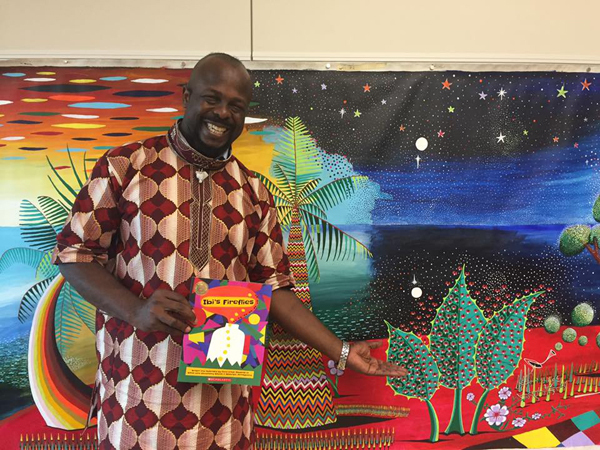 At Casa Guadalupe in Allentown, Pennsylvania, children under five are bringing home their first books thanks to a creative partnership. 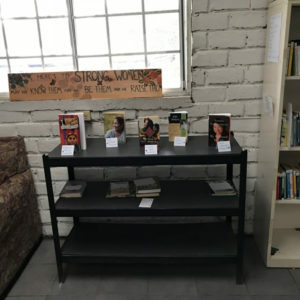 The first thing you see when you visit the Women, Infant and Children (WIC) Program at Casa Guadalupe in Allentown is a bright red cart of books. Small books, big books, books with wheels, and books with fuzzy fur poking out the covers. It’s a tantalizing display of literary delight, and it is hard to resist when you are five and under. 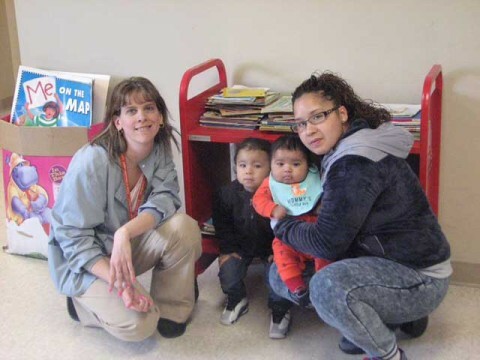 “Kids are crying and begging for books every time that they come to their appointment,” says former Freedom Through Literacy honoree and WIC Program Coordinator Dawn Bush. “They even still ask for books over stickers!” Moms love the program, too. At each visit, they can bring home a book to add to their child’s library–a luxury many cannot afford on their own. 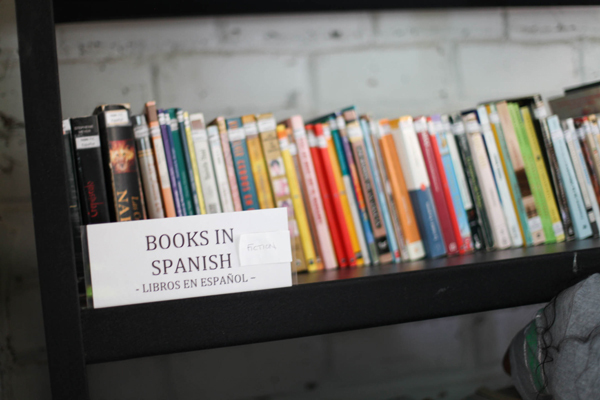 Started in April 2013, the Birth-2-Five Initiative was Judith’s Reading Room’s answer to the 30-million word gap. Research shows that by age three, a child in poverty hears 30 million fewer words than a child from a middle-income home. 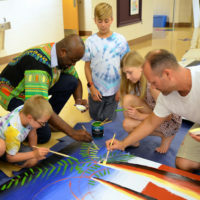 This impacts a child’s ability to compete with his peers once he reaches elementary school and can have damaging effects on confidence, self-worth, and academic growth. After a recent audit by Maternal & Family Health Services, the overseeing agency of the WIC program, it was recommended that books be added to the nutritionist’s office so children had something to focus on, giving their families quality uninterrupted time to listen to the important information the nutritionist was sharing. 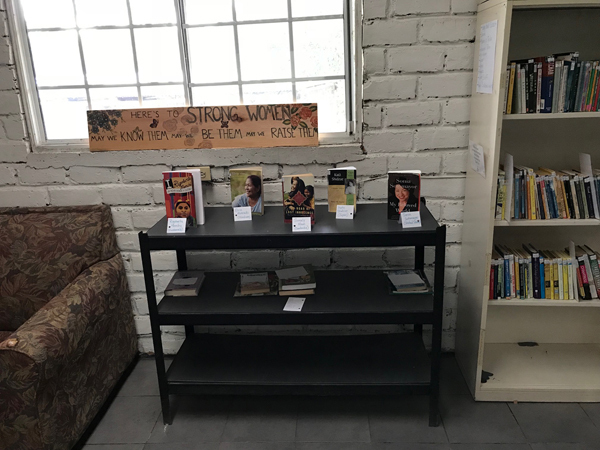 Since the inception of the Birth-2-Five Initiative, Judith’s Reading Room has donated 15,649 children’s books to the WIC Program at Casa Guadalupe, building countless home libraries and changing lives. Do you know a Champion of Literacy in your community? 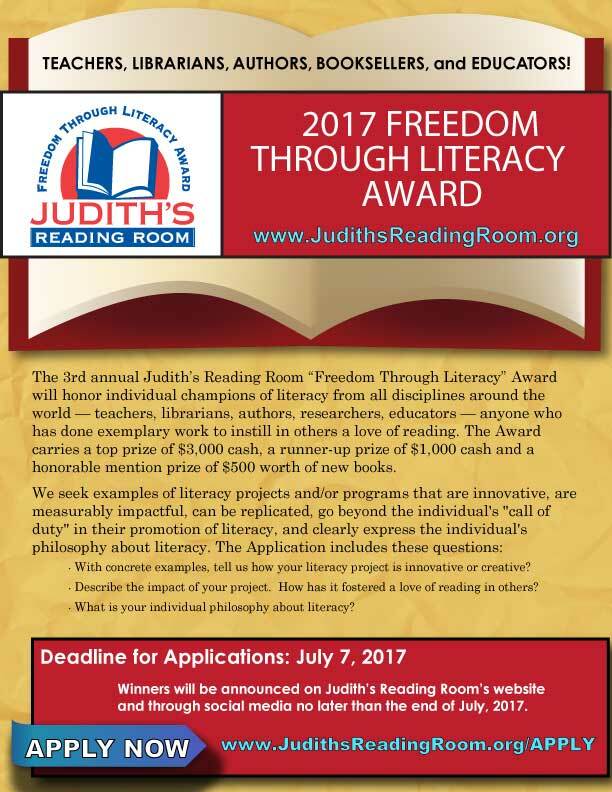 Do them a favor and share the 2019 Freedom Through Literacy Award application with them! 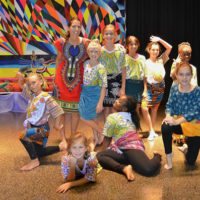 “Release Your Fireflies” is best described as a storytelling-movement. 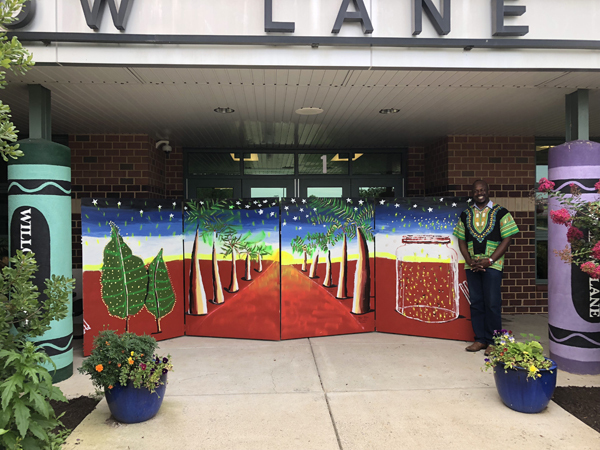 Matthew Weimann and Julia Dweck, two ‘stellar’ teachers according to their principal, inspired their students in grades 3-5 to interpret Ibi’s true story. 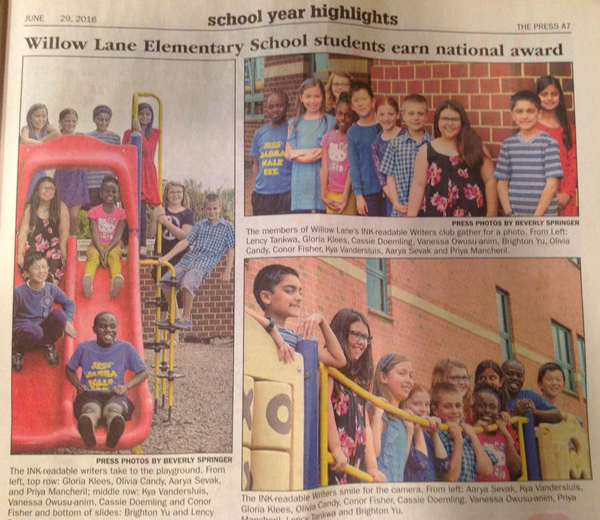 The children wrote an award winning picture book entitled, “Ibi’s Fireflies,” published by Scholastic. 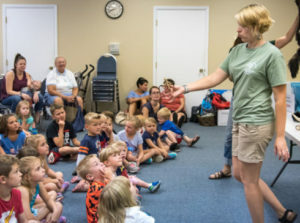 The goal of “Release Your Fireflies” is to equip children to navigate the world through storytelling, paving the way for an appreciation of human literature. 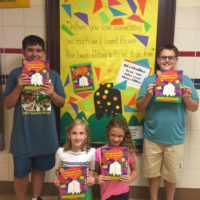 Matt and Julia’s project promotes storytelling inside and outside the classroom — nurturing literacy skills, creative thinking, communication, empathy, increased confidence and self-esteem. 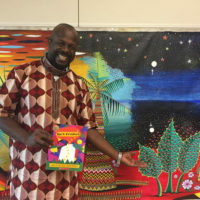 The duo, described as “true pioneers in the pursuit of a global classroom of storytellers,” created a website where teachers can access a library of storytelling curriculum that encourages children to share their stories and reflect on them through prompts and questions. “Ibi’s Fireflies,” is under consideration by producer Tim Burton, as a full-length animated feature. 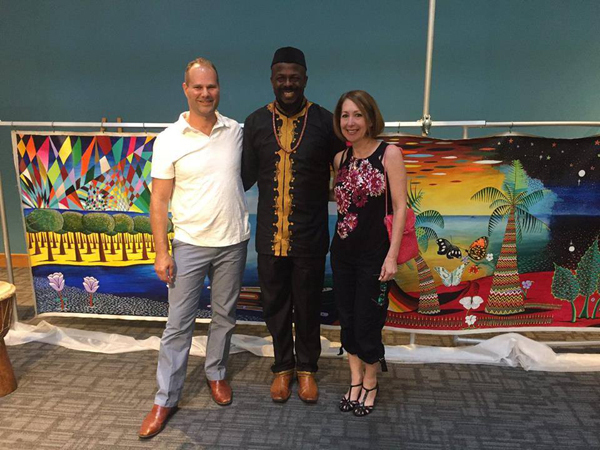 UN Art Ambassador Ibiyinka Alao’s true life story provided the inspiration for the project. 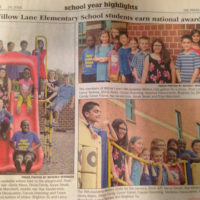 Fleetwood Area Public Librarian Carin Mileshosky is the driving force behind this community’s effort to counter-attack the syndrome known as ‘summer slide’ where students can lose up to 2 months of learning, adding up to a full year behind grade level by the time they reach 5th grade. 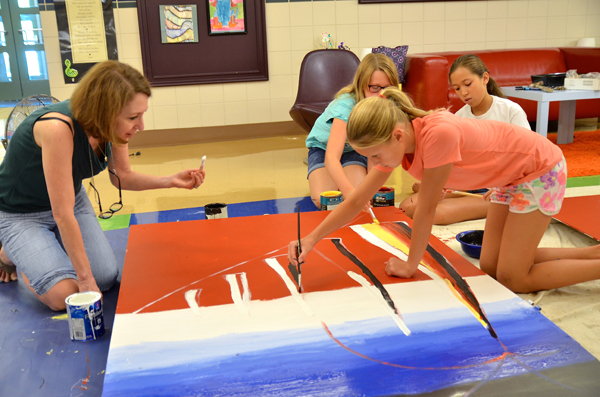 Carin constantly champions the fact that a public library has an important role to play in the community. 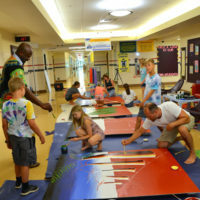 This summer her initiatives attracted over 180 patrons by offering quality service, information and new technology while promoting an early and lifelong love of learning. 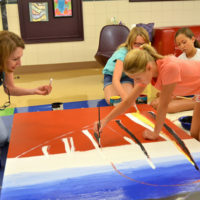 It is no wonder that the Fleetwood Library earned the PA FORWARD Library Association’s “Gold Star Library” designation. 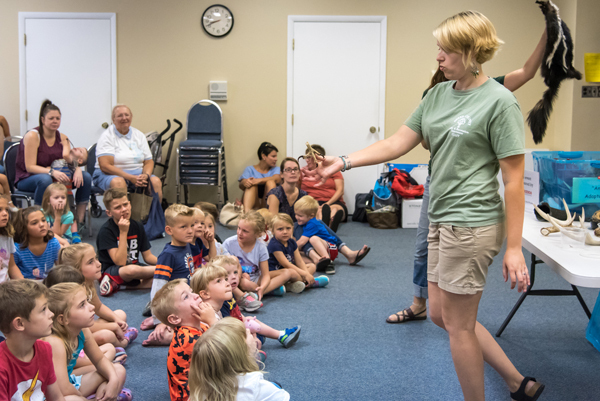 Carin is committed to providing her community with resources, programs, and opportunities to grow as readers — to be inspired, curious and to become successful lifelong learners. 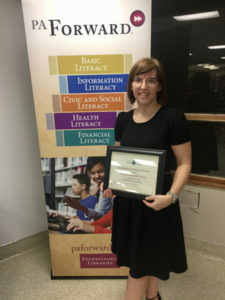 She believes that by promoting all facets of literacy, she can provide her patrons the freedom to become whom they want to be and to help make their dreams a reality. Christopher established his library at Lehigh Valley H.O.P.E., an organization that provides clothes and household goods to the homeless. 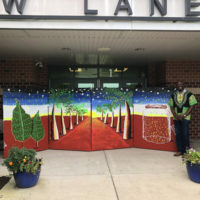 He did this as his Boy Scout’s of America Eagle Project, making him the youngest recipient of a Judith’s Reading Room Freedom Through Literacy Award. 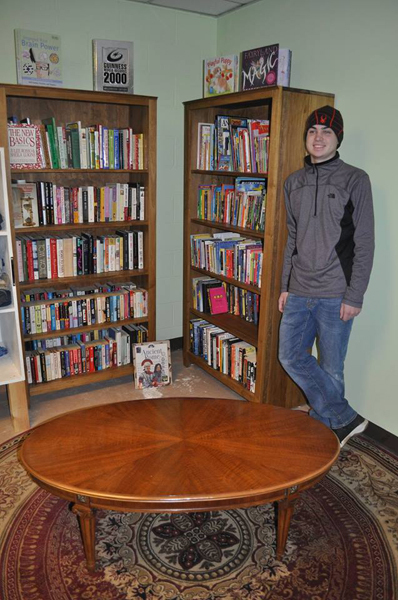 Under his leadership, Chris collaborated with other Boy Scouts to build and stain bookcases. He organized a book drive that resulted in the collection of over 600 books. Finally, he obtained furniture and a rug to turn his mini-library into a comfortable reading area. Christopher acknowledges that when you have nothing, the focus is on clothes, food — the basics. 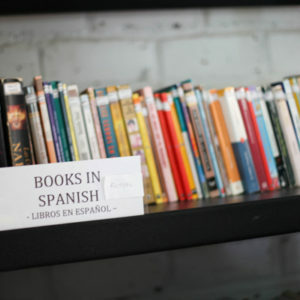 For some, books are generally not thought of as a basic need. He disagrees. Chris believes that while literacy is the foundation for education, access is the key element for literacy. Homeless families, whose needs are so great, also need to have access to books, especially children’s books so that they can expand their imagination and see what the world has to offer. 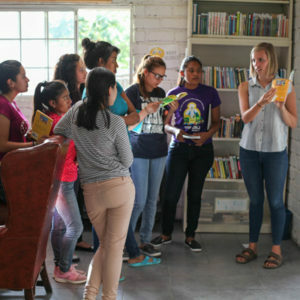 Lafayette College Skillman Librarian, Ana Luhrs, recently led a group of students to The Leadership Center (TLC) to Zambrano, Honduras to work side-by-side with 25 hand-picked young women eager to develop business and leadership skills. The goal of TLC is to educate, train and develop a new generation of female leaders by providing English immersion, business seminars and leadership training. 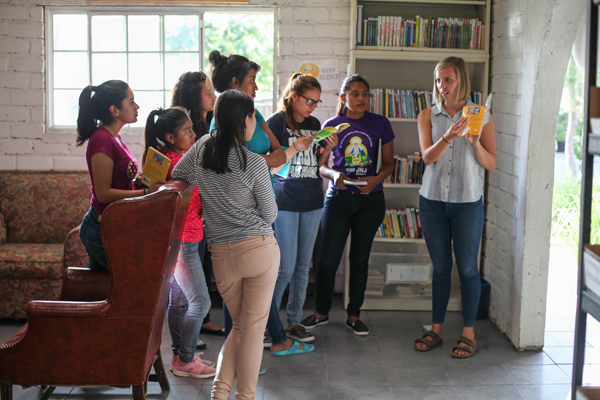 Nominated by teachers, pastors, community leaders and government officials, this elite group of women, ranging in age from 18-29, watched as Ana curated the fledgling library and learned the importance of creating a culture of reading for pleasure. 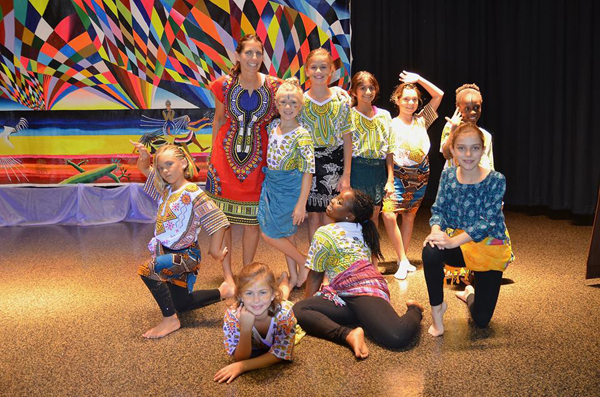 During Ana’s tenure at TLC, she noticed the gaps in genres that she felt would enhance the students’ experience. 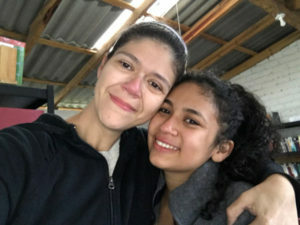 Ana has been selected to lead another group of Lafayette College students to TLC in January 2019 where they will hand-carry books to establish the 97th Judith’s Reading Room library in our organization’s 20th country! Cheryl, an 18-year veteran fifth grade science and social studies teacher, is also responsible for the Dover School District’s common core standards for non-fiction. 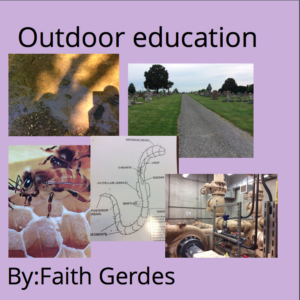 Brilliantly dovetailing these two responsibilities into the “Outdoor Education Book,”she teaches every 5th grader in the district how to write and publish non-fiction e-books using I-Pads. The outdoor education program covers such diverse topics as stream and pollinator studies, vermi-composting and waste water treatment. Using the Book Creator app, students use their notes, photos and videos to compose a book (see above) about their 2 1/2 day outdoor education adventure. Books are then posted on a digital portfolio, shared district-wide. 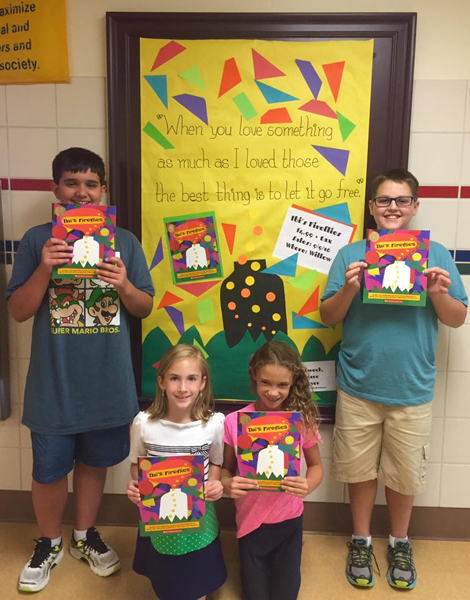 The book is the culmination of all that the students have learned about non-fiction writing. 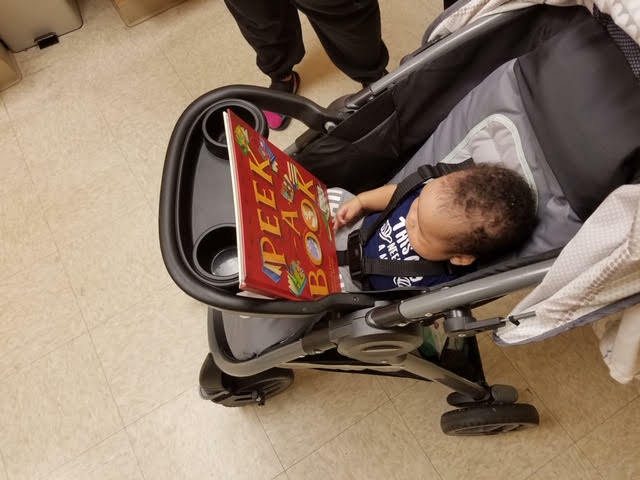 “Bringing Up a Bookworm,” a nonprofit initiative by 4th grade teacher Marsha Townsend, educates expectant parents about the value of reading aloud to their child even before he/she is born! Marsha and friends fill literacy-rich gift bags and deliver them to obstetricians’ offices. The doctors and nurses — wholeheartedly trusted by parents-to-be — hand the bags to their patients along with supportive ideas about the importance of reading to their babies and children. 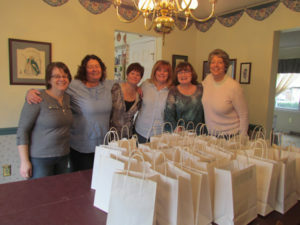 The gift bag contains a copy of Reading Magic: How Reading Aloud to Our Children will Change their Lives; a children’s board book and information about the Berks County Library system. 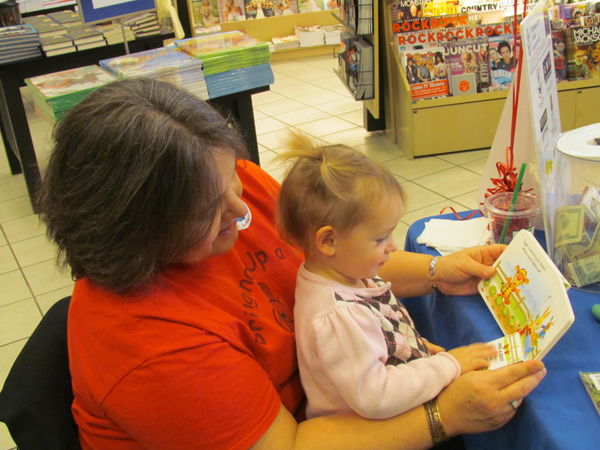 Marsha champions the need to read aloud to newborns, infants and toddlers. She acknowledges that read-aloud time provides the basics of how a book works, the language of books, an abundance of vocabulary and bonding time with parents. 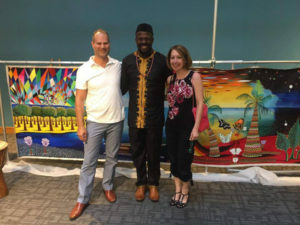 Judith’s Reading Room presented its Freedom Through Literacy awards on May 6 at Cedar Crest College in Allentown, PA. Jan was in Rwanda, so her husband, Bill Whipple, accepted the runner-up award on her behalf. Vision Empower Rwandan teachers to implement international best practices in early childhood education. 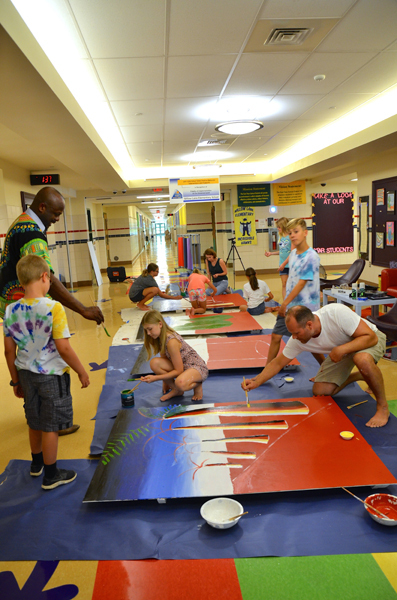 Mission Develop Model Schools in Rwanda—centers of excellence—that meet the organization’s high standards. 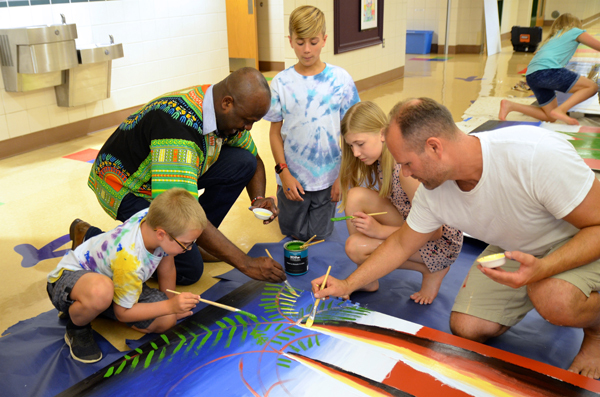 Partner with leaders of NGOs, educators, families, and communities to offer professional development to pre-service and in-service teachers in Model Schools. Operate as a transparent, efficient, cost-effective, sustainable organization that wisely allocates all donations.